Today is 11 11 18 100 years after the end of the First World War. It is not a celebration, of course, but a Remembrance of lives lost in two World Wars and more. 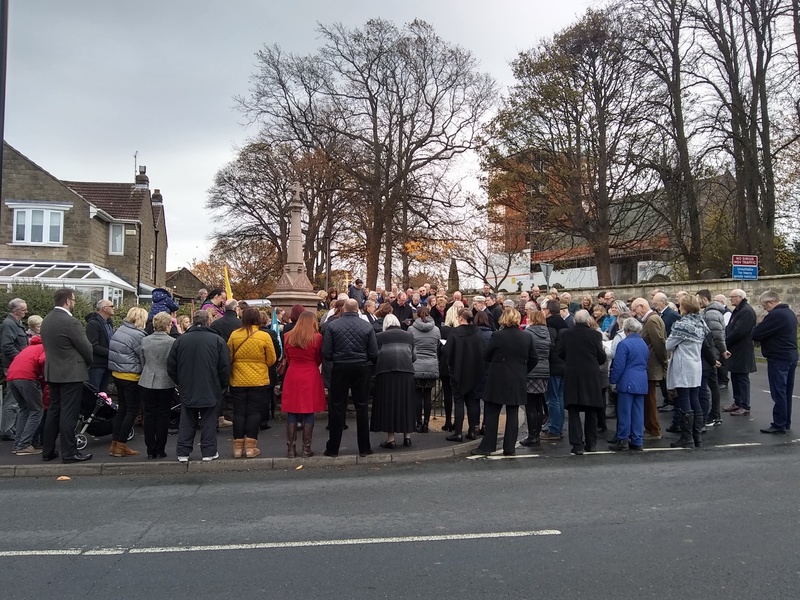 This morning at the War Memorial in Sleights people gathered to reflect that “greater love has no man than that he lay down his life for his friends”. 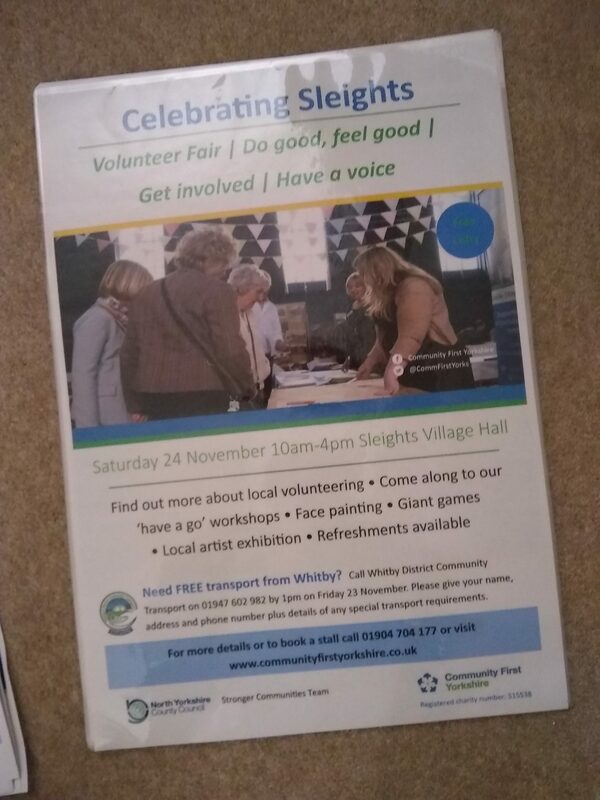 Celebrating Sleights is also a village event on Saturday 24th November at the Village Hall to celebrate the many volunteers and volunteer activities that contribute to supporting the well-being of our community. SAMS will be there with a stall, working with children and guardians to make boats for bathtime!! Do come along. It’s open 10am – 4pm. There are posters around the village. Nobody will be checking passports, so Whitby is welcome to come!